Assetwolf displays schematic diagrams with live internet of things data overlaid. 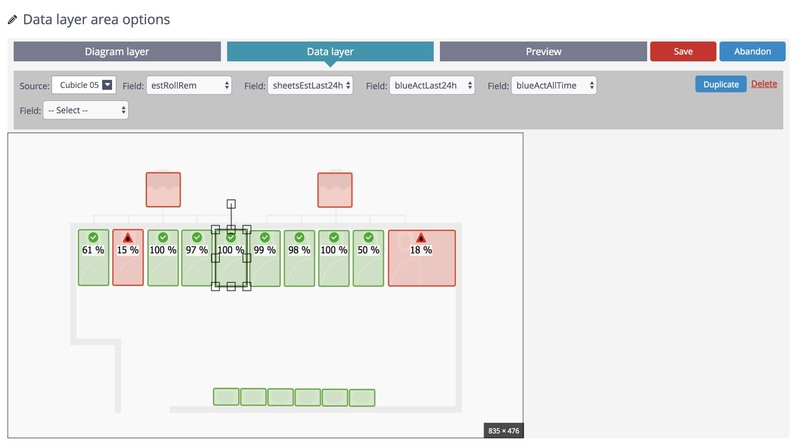 If you have a diagram of the machine, production line, property or whatever you want to monitor, you can upload it to Assetwolf and then overlay it with "hot" areas through which data will appear. These can be hotspots, rectangles and polygons, to suit the shape of the diagram underneath. 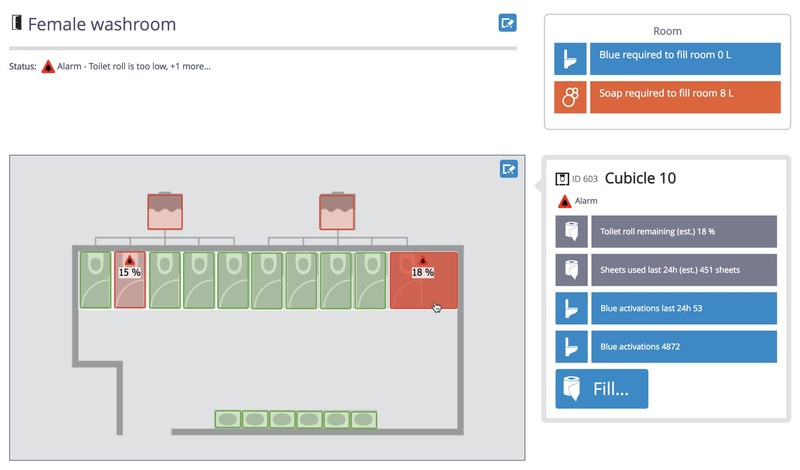 The following example schematic shows a washroom, with green boxes around the things being monitored, and information boxes appearing when the user hovers. An operative can immediately see a diagram or layout of a room or other area, and take action accordingly. Schematics are useful in a range of facilities management, industrial and domestic IoT environments. They typically are used with a floor plan of a building, a floor or a room, but can potentially be other things.